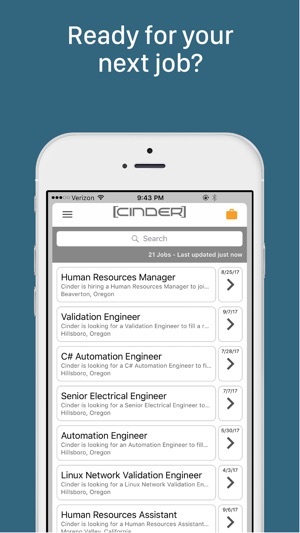 Stay connected with [CINDER] jobs app. 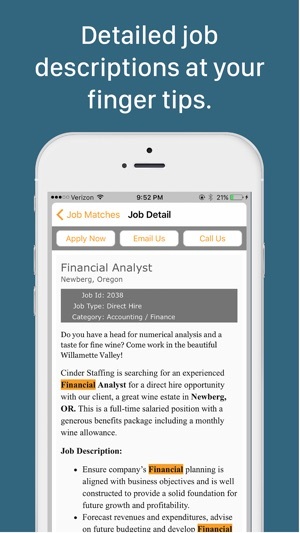 Search, view and apply to jobs while on the go. 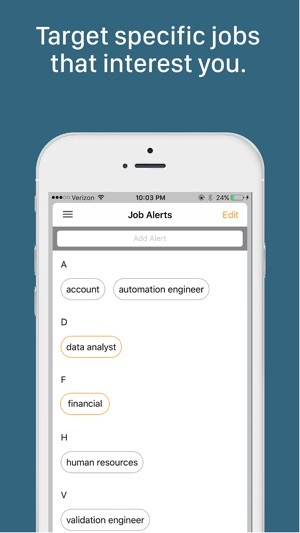 Receive job alerts when jobs match your keywords. 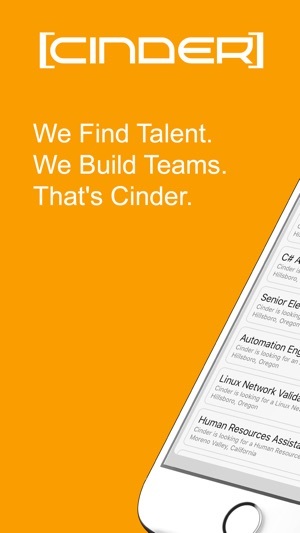 [CINDER] keeps you in the loop whenever and wherever you are. 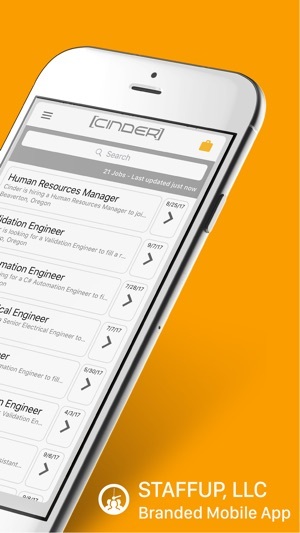 App runs smoothly! I haven’t had any issues since downloading.